Italy is home to a wealth of “magnificents,” and this vacation features them all. Rome with its famed archaeological sites; Florence, “Cradle of the Renaissance;” enchanting Lake Maggiore; the unique floating city of Venice; Perugia, capital of Umbria; and the lively resort of Sorrento. You’ll also experience Pisa’s amazing Leaning Tower; Genoa, childhood home of Christopher Columbus; Milan, capital of fashion; Italian-speaking Lugano, Switzerland; Romeo and Juliet’s Verona; Ravenna with its precious Byzantine mosaics; Assisi’s frescoed St. Francis Basilica; Pompeii’s remarkable archaeological site; and the jet-set Isle of Capri. 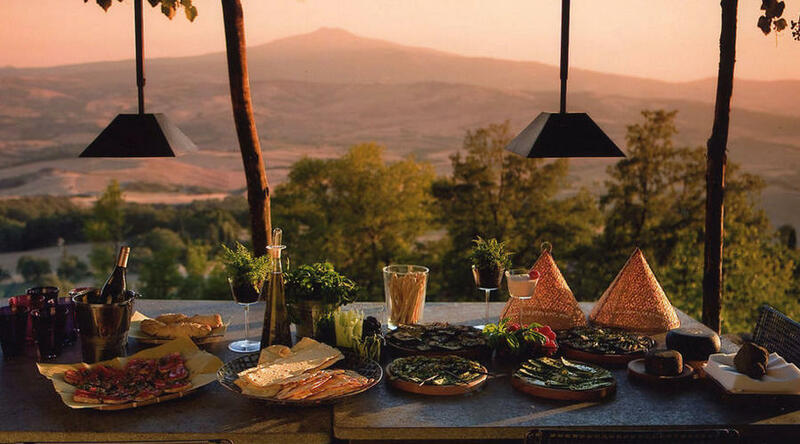 Enjoy it all amid the warmth of the Italian people and the beauty of the panoramic landscapes. Check into your hotel. The rest of the day is free for you to explore this ancient capital. This evening, meet your Tour Director and fellow travelers. ROME Fleming (ST) or Green Park Hotel Pamphili (ST). 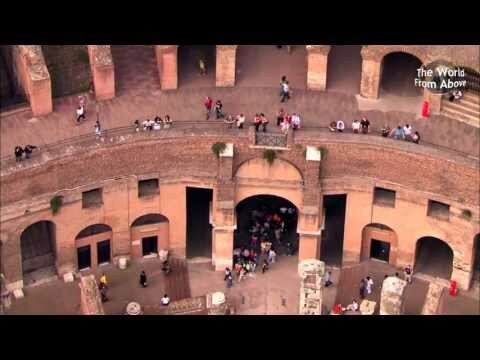 The ”Eternal City”—a city steeped in history, vibrantly alive and exciting, and absolutely unique! Included sightseeing with a Local Guide starts in ST. PETER’S SQUARE, followed by a visit to the ROMAN FORUM and the mighty COLOSSEUM. (B) ROME Fleming (ST) or Green Park Hotel Pamphili (ST). 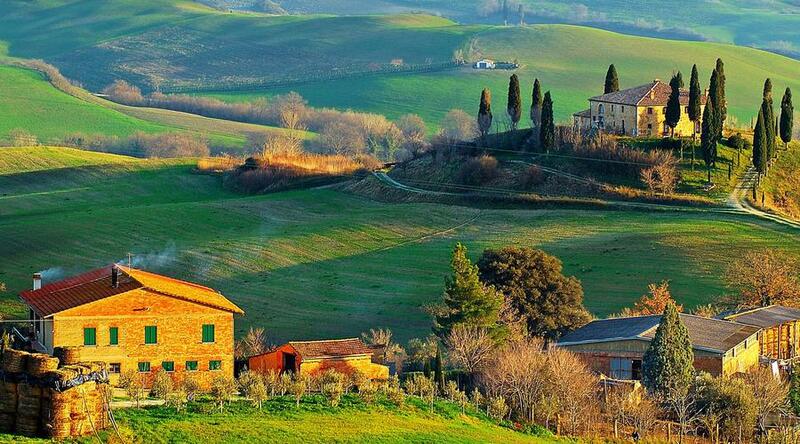 This morning, vistas of undulating hills, austere rows of cypress trees, terraced vineyards, olive groves, and rural villages form the backdrop of your journey through beautiful Tuscany. Stop in Pisa and visit the SQUARE OF MIRACLES and see the amazing Leaning Tower. Arrive in Montecatini for two overnights. (B) ROME Fleming (ST) or Green Park Hotel Pamphili (ST). Day 4 Montecatini. Excursion to Florence. 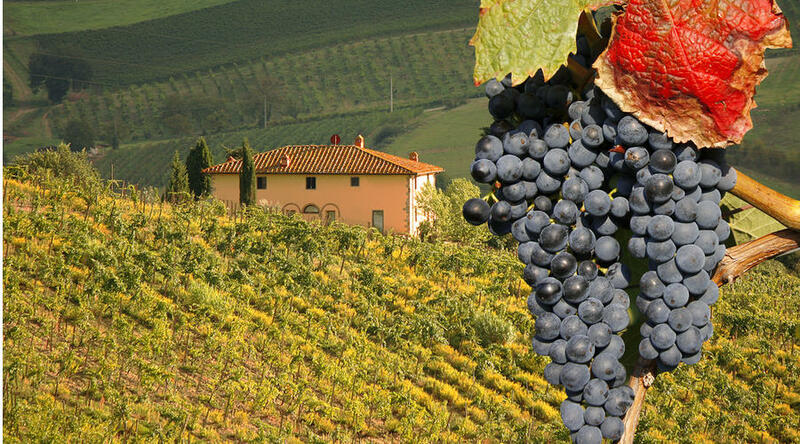 Today, enjoy an included excursion to Florence. Your Local Guide will show you most of the cities highlights on the walking tour. You will see Piazza Santa Croce; beautiful Piazza Signoria; Palazzo Vecchio and its courtyard; Loggia dei Lanzi; and, to top it all, Piazza del Duomo and its cathedral with the Giotto Campanile, and the magnificent East Door of the Baptistry, known as the "Gate of Paradise". (B,D) MONTECATINI Grand Hotel du Park et Regina (ST). Day 5 Montecatini–La Spezia–Cinque Terre–Genoa. Travel towards La Spezia, a province in Italy's Liguria region. Pause along the way and ride the TRAIN to Levanto to see one of the five spectacular Cinque Terre villages. Here, the beauty of the rugged cliffs and romantic fishing villages once inspired poet Lord Byron. Back on the coach, head towards Genoa, birthplace of explorer Christopher Columbus, for an overnight. (B) MONTECATINI Grand Hotel du Park et Regina (ST). Today's included guided sightseeing tour is an excellent introduction to Genoa. A maze of squares and alleys, the city grew around the port, a natural inlet, and boasts the largest medieval historical center in Europe. Some of the highlights include the remains of the city's 17th-century fortifications; the Lanterna (lighthouse), a symbol of Genoa; San Lorenzo Cathedral; Christopher Columbus' childhood home; the Palace of the Doges, ancient seat of Genoese government; and one of Europe's biggest aquariums. Next, head north into the plains of Lombardy, crossing the Po River into a stark change of scenery. 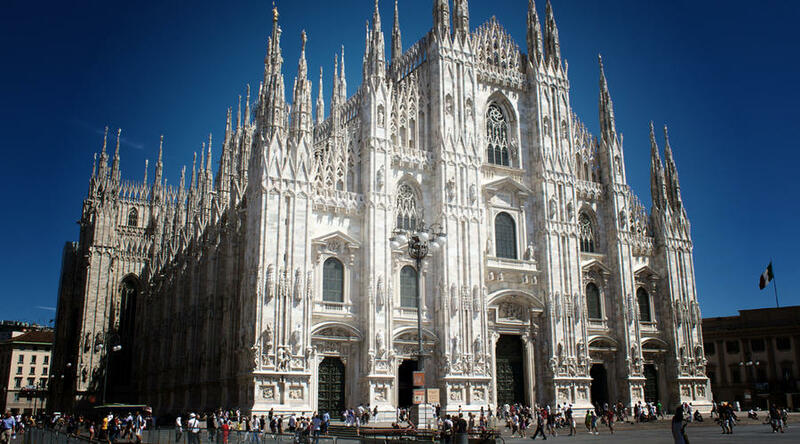 Stop in Milan to marvel at its magnificent Duomo, then spend the night in Baveno in the Lake Maggiore area. (B) GENOA Starhotels President (F) . Day 7 Lake Maggiore. Excursion to Lugano. Time to relax and get to know the area. Lake Maggiore is one of Italy’s largest lakes and is located on the very edge of Alpine Switzerland. In fact, on clear days you can see the peaks of the Swiss Alps. 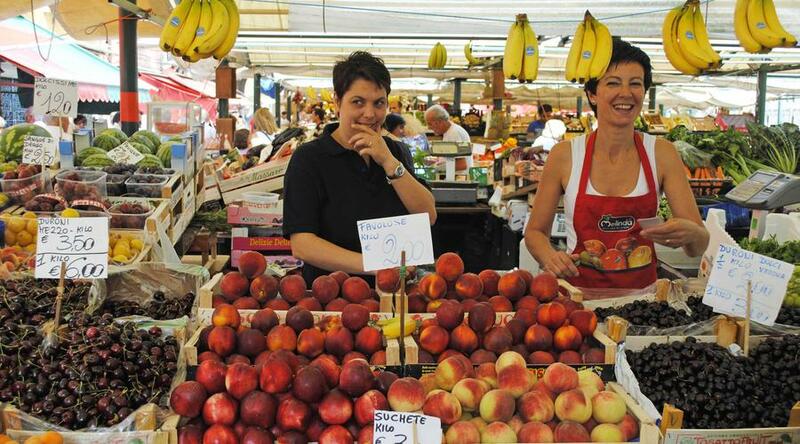 Take advantage of the included excursion to visit Lugano and its lake in Switzerland. (B) LAKE MAGGIORE Simplon (F) at Baveno. Day 8 Lake Maggiore–Verona–Venice Area. Travel across the Po River plain and stop in the romantic city of Verona to see Romeo and Juliet´s balcony, and enjoy some time at leisure before reaching the Venice area. (B) LAKE MAGGIORE Simplon (F) at Baveno. Venice is more like a marvelous film set than a real live city, with its criss-crossing canals, gondolas and water buses, arched bridges, palaces, and piazzas. The included orientation starts with a BOAT RIDE and is followed by time at leisure and a chance to watch Venetian GLASSBLOWERS fashion their delicate objects as they did centuries ago. Don’t miss out on the optional gondola trip, gliding along the picturesque canals with a local troubadour to serenade you. (B,D) VENICE AREA Poppi (ST) at Mira or Holiday Inn (ST) at Marghera. An interesting drive southwards right across the Po Delta to Ravenna. In the afternoon, journey to Assisi, enclosed by ramparts and little changed since the Middle Ages. This is the town of the deeply mystical and poetic St. Francis—see the BASILICA OF ST. Francis, with its famous frescoes by Giotto. Overnight in beautiful nearby Perugia, capital of Umbria. (B,D) VENICE AREA Poppi (ST) at Mira or Holiday Inn (ST) at Marghera. Drive south on the autostrada to Pompeii. Time stopped for the rich, aristocratic town of POMPEII with the terrible eruption of Vesuvius in 79 AD. On the included visit you can see the remains of luxurious villas, temples, theater, and forum. Next, Sorrento, set on a plateau above the waters of the Bay of Naples. Wander the winding streets lined with shops and stalls, and sit with a glass of wine, absorbing the easygoing life of this charming resort. (B) PERUGIA La Meridiana (F). Day 12 Sorrento. Boat Trip to Capri. This legendary island is surrounded by rocky coastline where the crashing sea has formed awe-inspiring caves. The town with its pretty piazza, maze of streets, fashionable boutiques, and smart restaurants is a mecca for the jet set. An optional island tour is available. 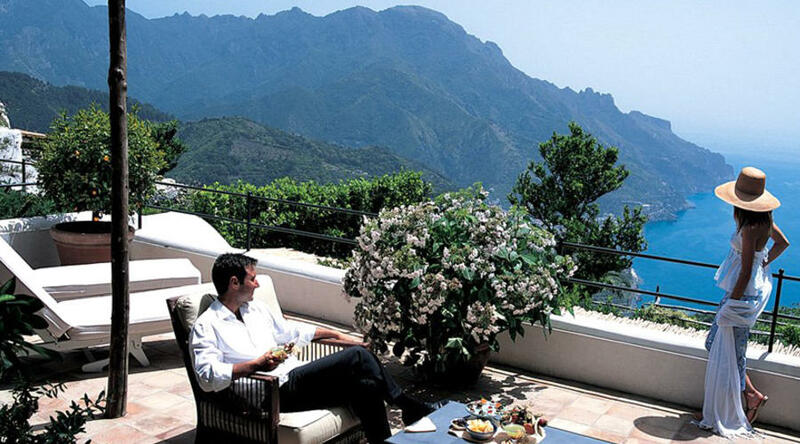 (B,D) SORRENTO Grand Hotel Vesuvio (F) or Ascot (ST). This morning, enjoy an optional excursion to Positano before a comfortable drive northwards for an afternoon arrival in Rome. (B) ROME Holiday Inn Express San Giovanni (ST). Your vacation ends with breakfast this morning. (B) ROME Holiday Inn Express San Giovanni (ST). Single supplement price is $600.00. No triple room reduction. Rome Arrival Transfer Rome - Leonardo da Vinci (Fiumicino) Airport: $25.00 per person Rome Departure Transfer Rome - Leonardo da Vinci (Fiumicino) Airport: $25.00 per person Based on the same arrival & departure date. prices may vary in case of extra nights. please call for the exact pricinig.